Pentecostal Music from a United Pentecostal Church, Atlanta West Pentecostal Church in Atlanta, Georgia singing a great Apostolic song in the finale of How Sweet The Sound choir competition 2009. Their singing and anointed music led them to win the entire nation wide competition! why do they all have scowls and not happy faces? Just wondering did you at Atlanta west have visitors after the competition? ¡Oh hombre, El te ha declarado lo que es bueno¡ ¿Que pide Dios de ti? Wow!! That was awesome!! I’m Pentecostal from the top of my head to the soles of my feet!!! Glorrrrry love this! Praise him! What a powerful worship! Uplifting! Beautiful singing, yet I am saddened. Since when is singing praise to God a COMPETITION of choirs! A rivalry to determine who gets first place and thereby, when all is said and done, who received LAST place? I can’t help but wonder if this is truly pleasing to God. I believe God’s praise should be all about praise, not competing to see which choir is best! After all, worship is part of the singing, it CAN’T be separated from it, and how can anyone but God be a judge of the worship in one person’s heart, much less an entire choirs’ hearts? Let all the choirs sing together, freely, truly worshipping, THEN see what God does!!! AMen ! tears here ! we’re prepping down here for “the Big One” God has a variety of tastes, everything He made has colors, styles, sounds, actions, likewise His praise would be so, hymns, psalms, spiritual songs, and the kind that caused King David to dance out of his royal robe,,,..Praise God according to His excellent Greatness…a verse in an apocrypha passage of Ecclesiasticus said.. “praise Him for His Excellent Greatness and be not weary, for you can never go far enough”. The lady with the green thing on her head? And that hair do….what is that? Hehehe! I love how the host don’t know what to do with himself. What’s that green thing on top of that lady’s head. oh wow!! wow!!! Having me some old time renewed HG partay!!! Can you just think what heaven will be like when we get there and we all singing JUST think about its. Not my cup of tea……….. what happen to the good old fashion hymns? 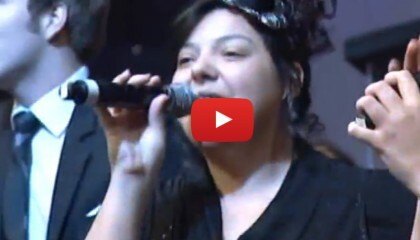 **WOW** This choir did it to the Max! They brought the house down because they brought the praise on. No play in this mission….and no fronting either! Praise Him in the song…the dance…and the shout! 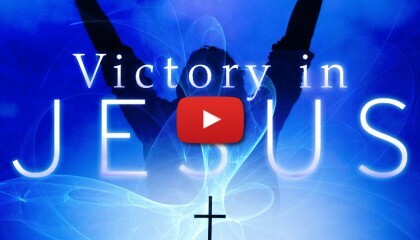 Do it, Saints of God…WIN AGAIN!!! Oh. 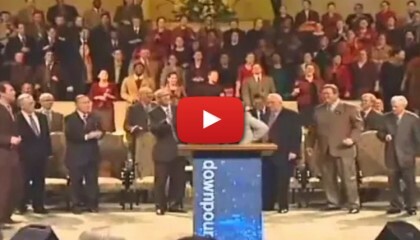 how i loved to see Apostolic Worshipers! I am from Atlanta West Pentecostal Church and i sang in the choir competition it was awsome and I can’t wait to get to Heaven and sing around Gods thrown. What a day that will be. I was thinking she may be a cancer patient having just gone through chemo and her hair is just beginning to grow back ??? If clothing style and hair style changes why should music not change. Everything isn't going to be right for everyone but that doesn't mean it is wrong. Music just like God and our faith is all part of our personal relationship with our saviour. Wow!! That was awesome!! I'm Pentecostal from the top of my head to the soles of my feet!!! Beautiful singing, yet I am saddened. Since when is singing praise to God a COMPETITION of choirs! A rivalry to determine who gets first place and thereby, when all is said and done, who received LAST place? I can't help but wonder if this is truly pleasing to God. I believe God's praise should be all about praise, not competing to see which choir is best! After all, worship is part of the singing, it CAN'T be separated from it, and how can anyone but God be a judge of the worship in one person's heart, much less an entire choirs' hearts? AMen ! tears here ! we're prepping down here for "the Big One" God has a variety of tastes, everything He made has colors, styles, sounds, actions, likewise His praise would be so, hymns, psalms, spiritual songs, and the kind that caused King David to dance out of his royal robe,,,..Praise God according to His excellent Greatness…a verse in an apocrypha passage of Ecclesiasticus said.. "praise Him for His Excellent Greatness and be not weary, for you can never go far enough". Hehehe! I love how the host don't know what to do with himself. I asked the same thing. I'm not sure. We sing the old time goodies too. They haven't been forgotten. There's nothing wrong with cranking it up in Jesus' name and praising Him with excitement. If it really gets people worshipping, that's a good thing. I am from Atlanta West Pentecostal Church and i sang in the choir competition it was awsome and I can't wait to get to Heaven and sing around Gods thrown. What a day that will be. What's that green thing on top of that lady's head. You think the song Bringing in the Sheaves will interest your grandkids and keep them in church. This is a new day. Yes I love the old hymns, those were the songs I was raised on, but we need variety to reach our children of today.